A new Tesla Model 3 loses its bumper in the rain, in 30 min. And what about Musk's expectation of shareholder buy-ins? Please consider Bumper Falls Off Brand New Tesla Model 3 After 30 Minutes and Some Rain. Excuse me for pointing out that IS how Tesla builds cars. Yet, keeping your bumper cover on in pretty much all weather is a very, very solved problem in the automotive industry. Musk said he expects buy-ins from existing shareholders. Really? Reuters reports Keeping Tesla Shares May Not Be an Option for Some Big Funds. Most passive funds would have to drop Tesla if it were removed from stock indexes, experts said on Monday. Actively-managed funds might need complicated approvals to hold a stake in the company, no matter how much of a mark Musk has made to date as founder and chief executive of the electric carmaker. Investopedia reports Tesla's Musk Faces Class Action Suits Over Tweet. 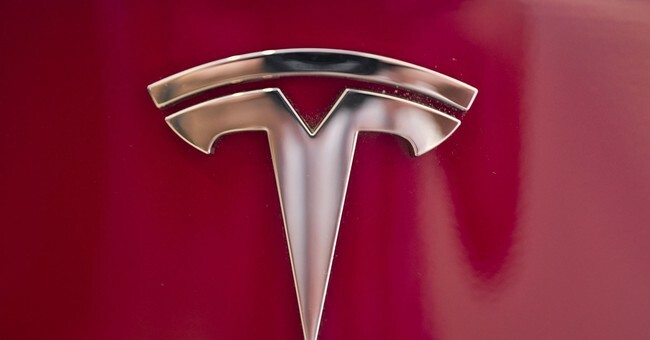 In one of the two lawsuits, which was filed in federal court in San Francisco by Kalman Issacs, the plaintiff contends Tesla and Musk "embarked on a scheme and course of conduct to artificially manipulate the price of Tesla stock to completely decimate the company’s short-sellers.” The lawsuit alleges the tweets sent the stock up $45.47 above the stock’s closing price the day earlier which cost short sellers, or those that bet a stock will go lower with borrowed shares, billions of dollars in mark-to-market losses. The lawsuits also claim Musk hasn’t lined up the financing necessary to take Tesla private and therefore made false statements. In a separate class-action lawsuit also filed in federal court in San Francisco, William Chamberlain contends Musk “materially” misled investors between August 7 and August 10 claiming investor support for the deal was secured and that the funding was in place. Elon Musk’s surprise tweet last week that he is considering taking Tesla Inc. private only intensified questions about the electric-car maker’s fundraising needs. The Wall Street Journal reports Musk’s Surprise Tweet Complicates Tesla’s Debt Picture. Elon Musk’s comments about taking Tesla private are threatening to increase the electric-car maker’s borrowing costs, presenting a fresh challenge for a company already dealing with a dwindling cash pile. In a blog post Monday, Mr. Musk said that “most of the capital required for going private would be funded by equity rather than debt” and estimated that two-thirds of shares owned by current investors would remain with the company. Tesla reported $2.2 billion of cash at the end of the second quarter, along with $9.5 billion in long-term debt and capital leases. Over the past year, the company burned through roughly $2.4 billion of cash with interest expense totaling $577 million, according to the research firm CreditSights. Mr. Musk has repeatedly said the company can start generating cash in the second half of this year and doesn’t need to raise more capital. Some analysts disagree, saying the company likely will need to raise billions over the next few quarters to fund ongoing operations and pay down convertible-debt maturities worth a combined $1.15 billion. In a report Thursday, Moody’s Investors Service reiterated its view that “Tesla will need to access the capital markets in order to fund its operating requirements” and repay convertible bonds. It called Mr. Musk’s recent statements “a credit negative,” though it maintained the company’s B3 speculative-grade rating. The details of a go-private deal are important for current Tesla bondholders. Under the terms of the 5.3% bonds, Tesla would have to tender for the notes at 101 cents on the dollar if any investor or group of investors acquires a majority stake in the company and the bonds are downgraded by credit-rating firms. However, Mr. Musk’s comments indicate that a private Tesla might have no majority owner. Lies, fantasies, and more lies. Other than that, what's the problem? Wait a second. I almost forgot about debt, pathetic tent-manufactured quality with bumpers that fall off in the rain, and batteries that explode randomly.